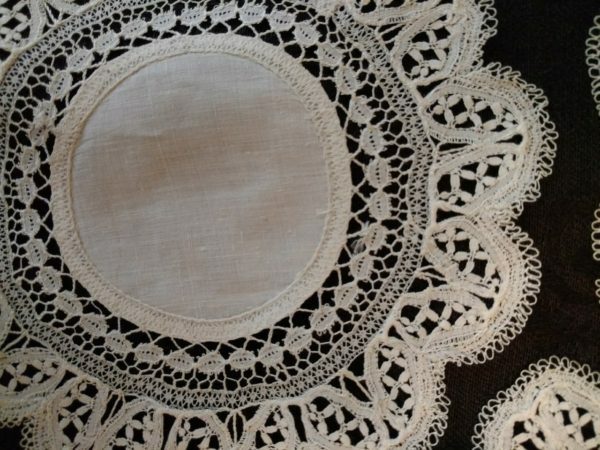 A set of hand made Victorian or early 1900’s doily mats. The doilies are made of mixed lace, several different tape laces and fill stitches of bobbin lace. Such a nice blending and to finish off, a lovely edging made of picot stitching. The cloth center of doilies are linen, each expertly hand stitched to the tape lace.